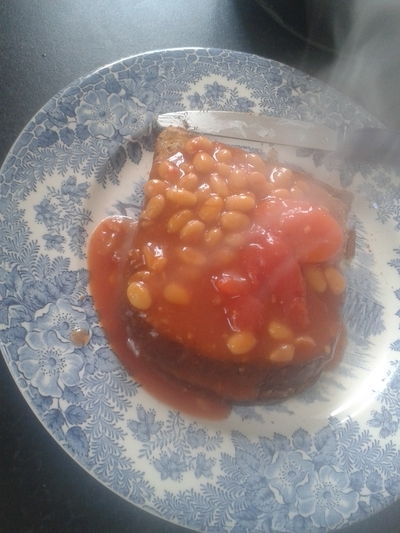 Eggs and toast can seem a simple, and rather boring breakfast option, but with a little bit of seasoning and combining of flavours, you can make this a breakfast your son/daughter will look forward to, plus this has a hidden vegetable: tomatoes. Place the slice (s) of bread under the grill to toast to your liking. 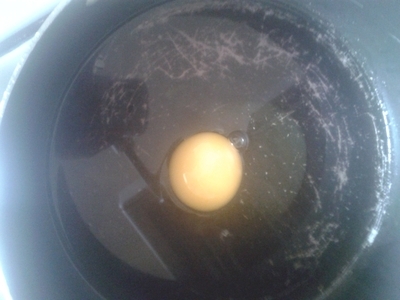 Crack the egg into a saucepan of boiling water, and simmer for 3 minutes. If you'd like it blue (like the picture), crack into a saucepan of water which has had purple cabbage, or purple broccoli simmering in it - do not waste that water, it is full of nutrients. 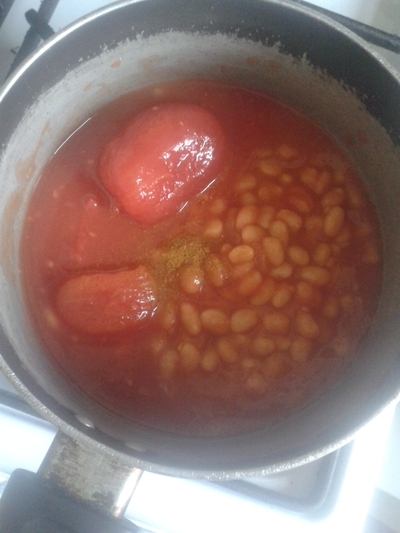 Pour the beans and tomatoes into a saucepan along with the curry powder and tsp of honey. Cook over a medium heat for 5 minutes. 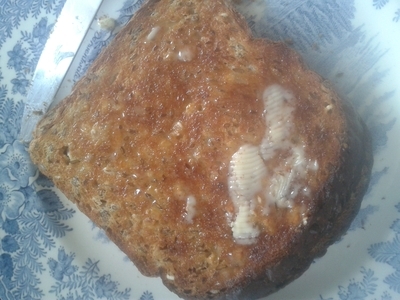 Remove the toast from the grill and butter. 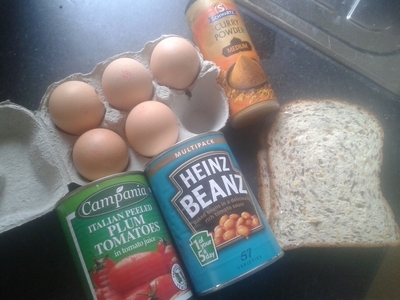 Add the bean and tomatoes mix. 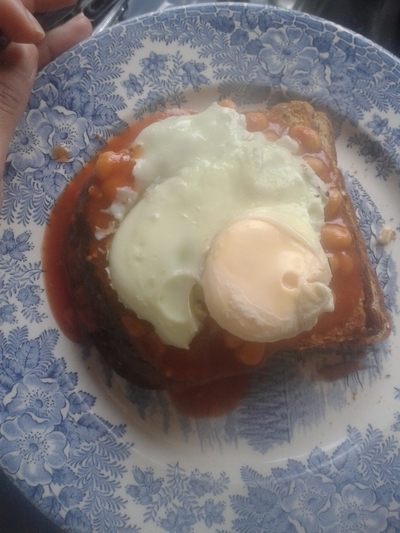 Top with the poached egg and serve. Although this is a recipe perfect for kids, adults like it too.